BBYC offers a variety of programs for all ages - from age 4 to age 144 there's fun for everyone and lots to learn on the water. 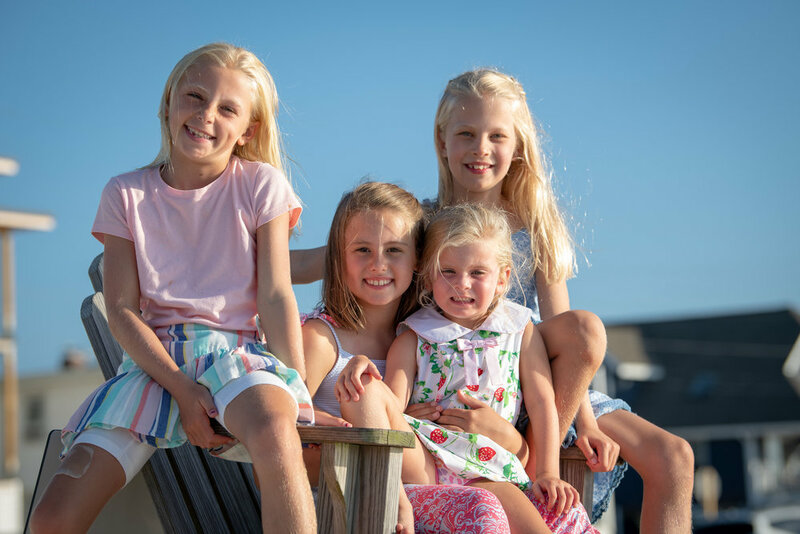 Brant Beach Yacht Club offers a comprehensive junior instructional sailing program for children aged 7 to 18 (sailors must be seven years old by June 1st of the current season.) Yachting skills are taught at the beginner, intermediate, and advanced levels in four Optimist classes, two levels of Sunfish, Lasers, and C420’s. Each year our team of skilled sailing instructors, under the leadreship of our highly qualified Director of Sailing guide our young sailors both on and off the water. Each child is evaluated in terms of their current skill level and receives both individual and group instruction, allowing them to progress as rapidly as their capabilities and interest permit. In addition to the formal instructional programs, BBYC supports a full program of regatta sailing with the sailing staff providing on-the-water coaching. Included in these regattas are our BBYC racing series, inter-club competitions and selected regattas. Intra and Inter-club competition, weekday, and weekend racing is offered at Brant Beach Yacht Club, including the BBYC Spring Regatta (occurring annually during the 2nd weekend of June) as well as special Fourth of July and Labor Day Races. Racing fleets include: Lightning, Mariner, C420’s, Lasers, Sunfish, and Optimist. BBYC has hosted multiple regional, state and national regattas over the years, and we remain committed to serving as the premier yacht club for hosting regattas. Brant Beach Yacht Club offers “Fun” sailing events with several scheduled activities during the summer. Included in these events are team racing, cruising scavenger hunts, mariner mayhems, and handicapped cruising races. The emphasis on all these fun events is on learning to sail and having a good time. 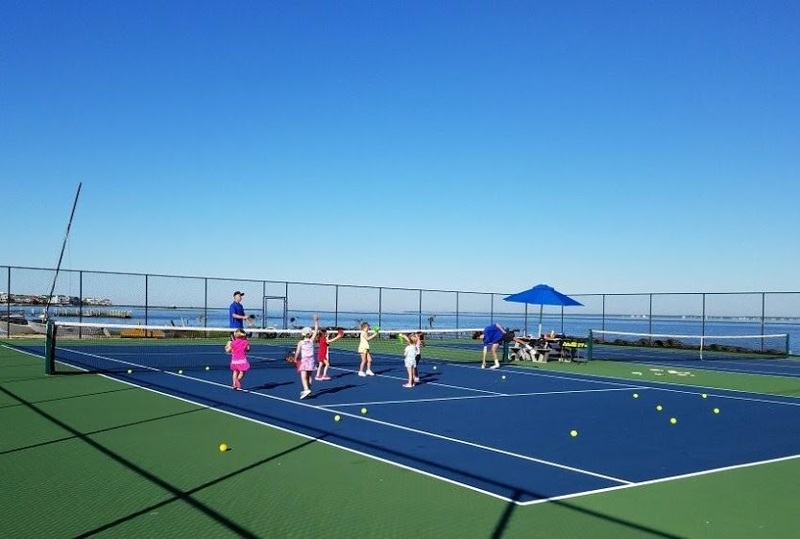 BBYC provides a comprehensive program of tennis instruction for ages 4 through adult. Scheduled group lessons for beginners, intermediate, and advanced tennis players. Competitive events are geared to insure that all of our registrants have the opportunity to compete with fellow members of comparable skill. The Cannonball Club has a big emphasis on water sports, including kayaking, paddle boarding, tubing and more. We will also be taking field trips like mini golf, bowling, and Go-Kart racing, just to name a few! BBYC favorites like swimming, tennis, basketball, beach trips and High Island adventures are all part of the Cannonball Club activities rotation. The Cannonball Club is based out of the South Harbor Facility and held five days a week from 8:30 a.m.-12:30 p.m. Ages 8-15 will be broken into 2-3 age groups, depending on enrollment. Happy, content tweens turn into young adults returning to the cove year after year, to share their fond memories of BBYC and make new ones with you and their future families. Swimming lessons are also available at BBYC. Conducted in accordance with the American Red Cross Standards, the Club offers swimming instruction to our entire membership from 4 years of age and older. Lessons are conducted at the beginner and intermediate level. We encourage our young people to join the BBYC Swim Team and compete with other Island clubs for local honors and a great time. Ages 4 & 5 years old, Mon-Fri 8:00 a.m. to 12:00 p.m.
Ages 6 & 7 years old, Mon-Fri 8:00 a.m. to 12:00 p.m. The Sandpiper program is offered to young members, ages 6 & 7. It is a continuation of the Small Fry program. All of our teachers are certified teachers. Over the winter, we have been working on a new format for the Small Fry, Sandpiper & Sailpiper programs that will be launched this summer! We are pleased to announce that the updated program will not only be including daily activities such as tennis, swim lessons & lunch bunch, but parents will simply need to drop of their little ones at 8:00 a.m. and come back to pick them up at 2:00 p.m. Monday through Friday. While we are finalizing some of the details, including potential field trips and additional activities, please do not hesitate to contact the office (office@bbyc.net, 609-494-4485) or Programs Trustee Stacey Kliesch with any questions or recommendations you may have to further to improve the experience of our little ones at your club! Whether your child is a drama queen or not, this is best place to allow them to show their “theatrical side.” The fun-loving instructors will pick one musical, or a medley, and after their weekly one-hour practice, have the children perform for us at the end of the season. The older kids are welcome (and encouraged!) to participate as well. There is a talent portion of the night where the young and older kids have performed all sorts of acts such as: singing, choreographed dancing, lipsyncing, marital arts, funny faces, best jokes, etc. There is no talent we aren't willing to showcase! This program is designed to encourage your child to learn about the local marine life indigenous to our beloved island and cove. A hands-on class, the students will be studying local marine life through exploring the bay. Local Outreach Programs are expected to visit the class for even more hands-on learning approach and perhaps some visitors from under the sea will join us as well...!